Our range of products include eil rotary kiln. We are major entity engaged in manufacturing and supplying highly efficient Engineers India Limited Approved Rotary Kiln. These plants are specifically designed to perform either endothermic or exothermic processes for calcination. 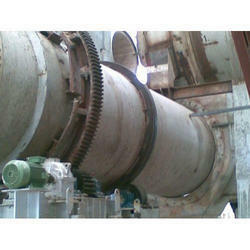 Widely used in cement industry plants, these systems operates in parallel flow and counter current flow configuration. Moreover, these are supplied for use in mineral processing, calcining, oxidation catalyst recovery or treatment and waste incineration from a number of sources. Looking for EIL Rotary Kiln ?